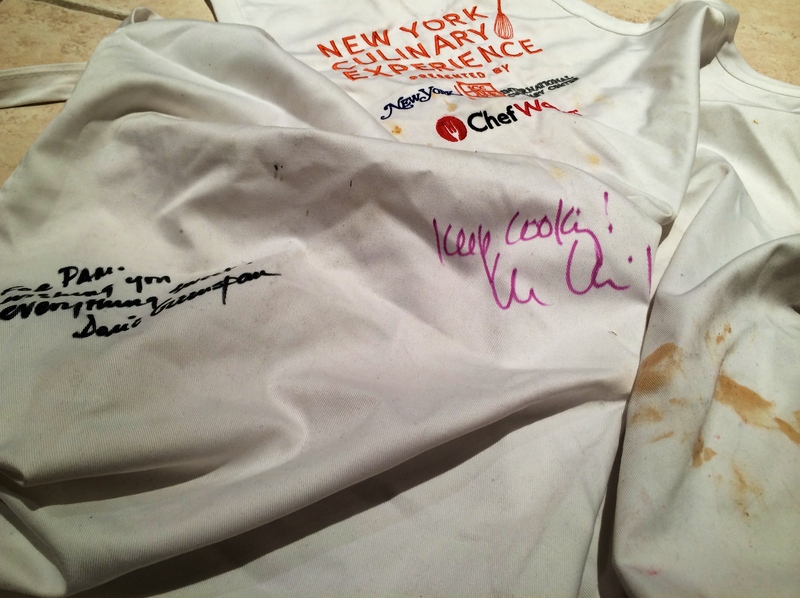 New York Culinary Experience 2014! I just spent the weekend with fellow chefs and foodies at the International Culinary Center in New York City. It is a unique experience of hand-on cooking classes with renowned chefs. Cooking alongside these master chefs is the most fabulous kind of sensory overload. I took four classes over the course of the two days. I had the unbelievable opportunity to hear Lidia Bastianich and Ruth Reichl speak as well. I took a Greek 101 class with Michael Psilakis from Kefi, FISHTAG and MP Taverna. I took a cookie class with Dorie Greenspan, an author of 10 cookbooks. I also attended a class with Israeli chef Einat Admony of Balaboosta, TaÏm and Bar Bolonat, and a class about small French plates, with chef Flora Mikula from Paris. Cooking, among these top tiered chefs, invigorates and energizes me! After coming home from this culinary experience, I want to re-create each menu from each of these wonderful classes. Many of these dishes take days and a staff to complete. The one common theme among chefs around the world is the process of “mise en place”, the preparation of ingredients before the beginning of service. This weekend was so successful because many of the dishes we created had most of the prep work done in advance. As participants, we had the chance to cook, beautifully plate, and taste many wonderful dishes. These chefs are incredibly dedicated to their craft. It was so interesting to both talk and cook with them. So many of the chefs cook from their hearts, and their background and upbringing is evident in all of their dishes. I’m not sure I’ll be able to re-create all of these dishes, as I don’t have a staff to help with my prep work, but I will certainly use some of the techniques I learned this weekend in my future dishes and my cooking classes. I can’t wait to benefit from your incredible experience! Thank you in advance for sharing the recipes with us. Sounds like a nourishing and experience full of zest! Can’t wait to taste and see the results. I’ll help prep for you!! Sounds like an amazing few days of cuisine (French to Greek to Israeli, etc…) Mise-en-place will be my goal! And I have all ingredients on hand for the kale/mango salad to enjoy tonight. Thanks! How exciting Pam! Thrilled for you. Can’t wait to hear more about your experience.